Today's diy will get your sunglasses ready for summer. 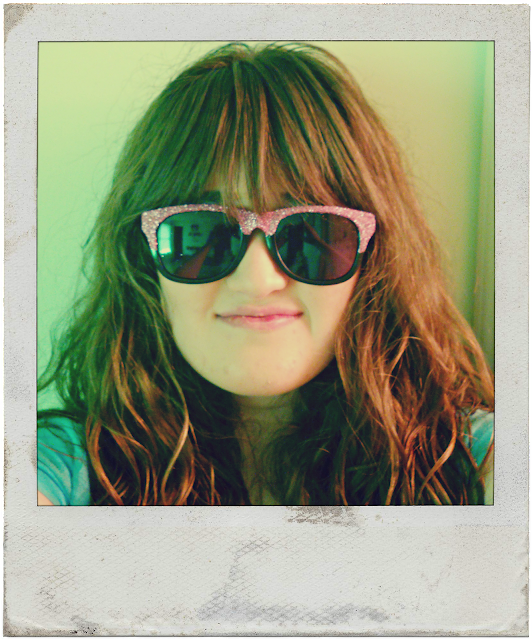 Step 1: With your paint brush, apply some Mod Podge to your sunglasses. 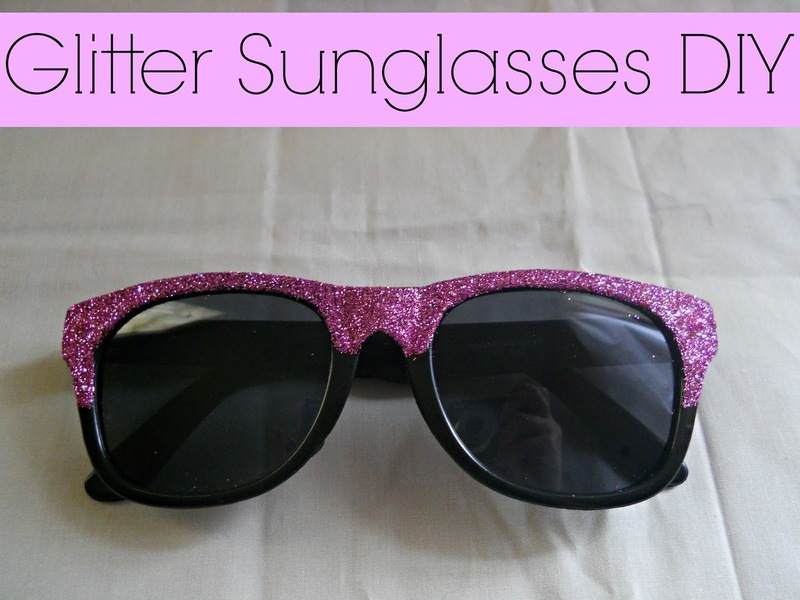 Step 2: Then sprinkle your glitter onto your sunglasses. Now if you're afraid of getting glitter on the lens of your glasses, you could always cover them up (with tape) before this step. I kinda threw caution to the wind and just began decorating my glasses. I did brush any extra glitter of the lens with a clean paint brush. When your done let your glasses dry.